JV Pedon - gorgeous pattern on the subject of computer games developed by design studio JoomVision. 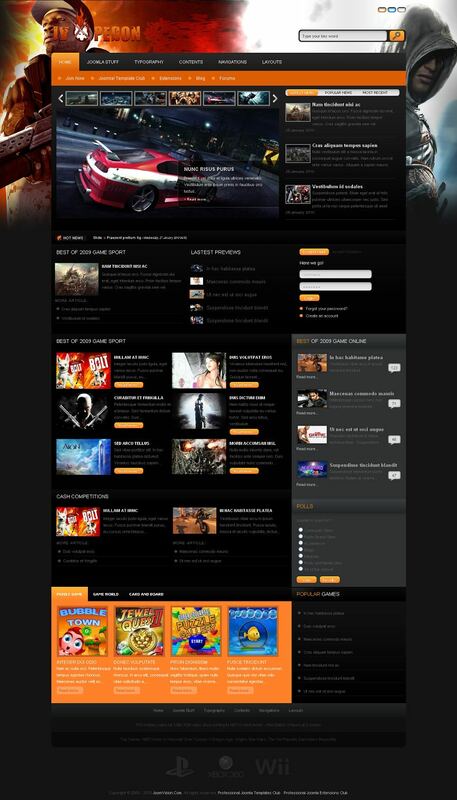 Professional design layout includes 3 original themes with different color schemes and background images. This template is perfect for creating game portals. Proprietary platform that runs the template allows for excellent optimization and full support of mobile devices. The template will work correctly on any screen and support all browsers. Studio extensions included in the assembly, and provide a spectacular visual representation of all the information on the site.